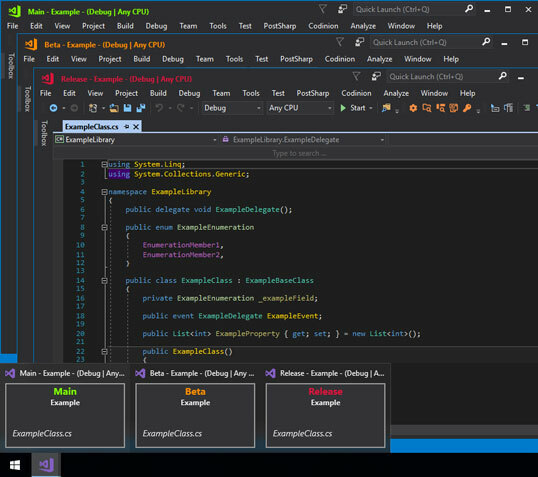 Banners improve working with multiple Visual Studio instances at the same time. 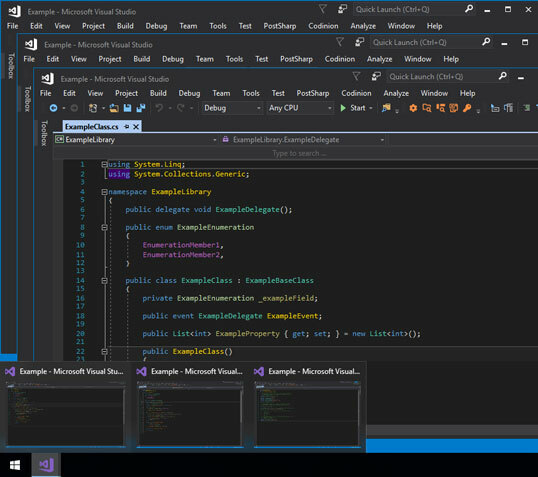 The Windows Taskbar Thumbnail from Visual Studio, which is a screenshot of the application, can be replaced with a banner. This banner contains customizable information about the associated Visual Studio instance. It can display the name of the opened solution, the active document, the name of the branch, the selected build configuration and much more. 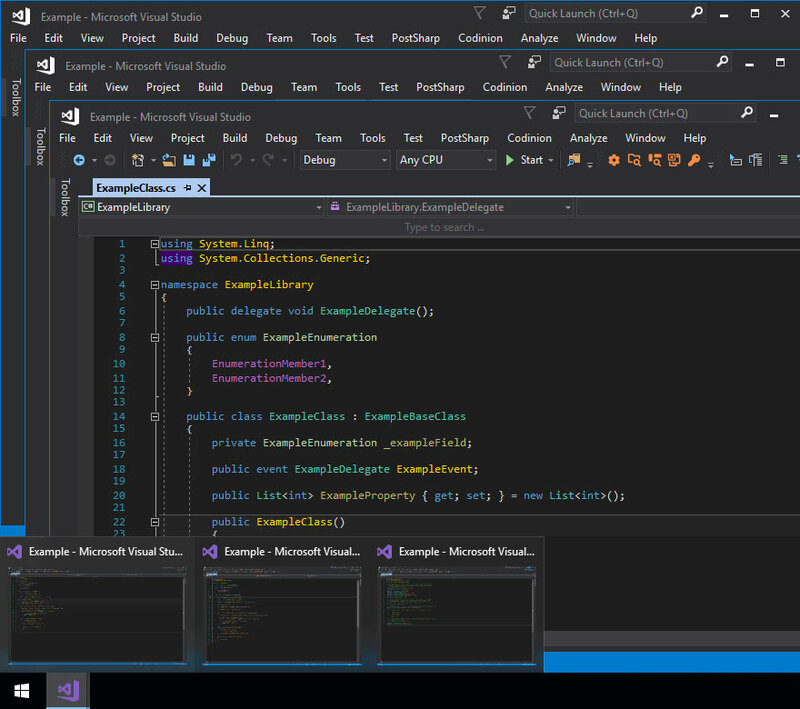 The window title of Visual Studio can also be augmented or replaced with important information to help identify it.